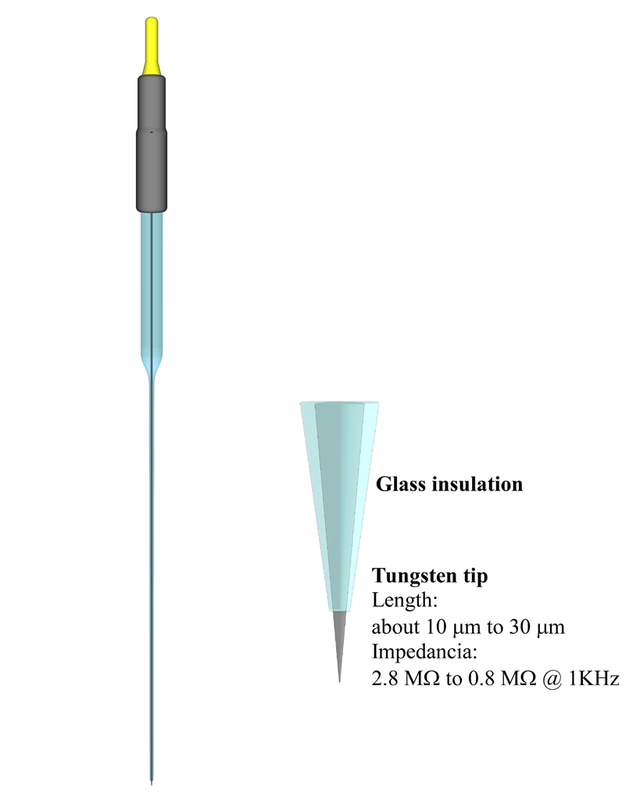 Manufactured using Kation Scientific’s unique micropipette puller, the Gravipull-3, this glass insulated tungsten microelectrode represents a truly exceptional solution to many drawbacks associated with more traditional metal microelectrodes. The industry standard gold-plated pin on top allows a low-resistance galvanic connection to most headstage probes. The 1.5 mm outer diameter borosilicate glass sheathing provides an additional support for the fine tungsten wire and allows a convenient way to handle and to attach this microelectrode to any holder. 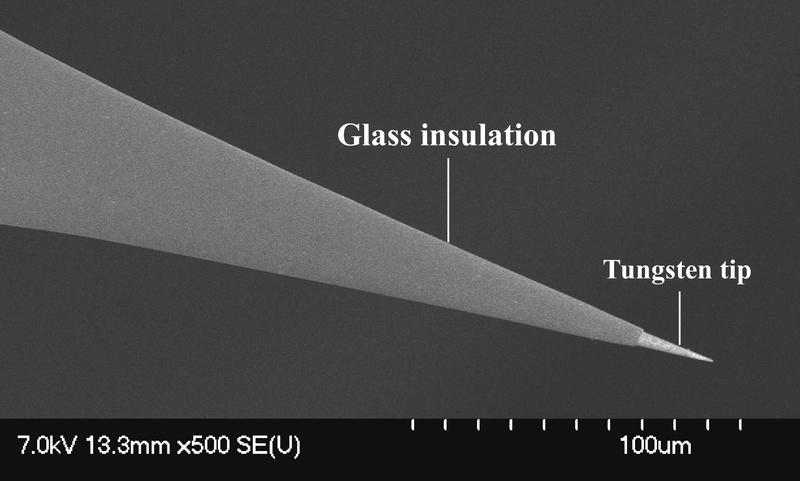 Next to the holder section, the glass forms a 40 μm thick electrically insulating layer sturdily adhering to the lead element tungsten wire for about a length of 35 mm. Finally, the glass insulation tapers onto the tungsten tip, etched to 10 to 12° fine angle, ending in a circa 3 μm thick durable glass ridge. Sold in box of 7 or box of 20 electrodes. If you need to use our glass insulated tungsten microelectrodes with headstages other than Kation's M2111, please see our EA1010 adaptor for possible mounting solution.